Verite Estate Winery is tucked into the rolling hills of Chalk Hill. Their wines reflect the region’s diverse terrior. The vineyard is cared for by the vigneron, Pierre Seillan. He “seeks, through wine, to give voice to the truth of the soil.” Recently, Verite’s three blends, Le Désir, La Joie and La Muse, received seven 100-point scores. Never had a Sonoma County winery receive this many perfect scores. 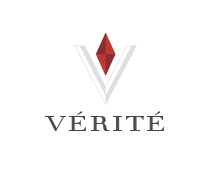 Verite Estate Vineyard consistently releases critic acclaimed Bordeaux varieties and has established itself as a leader among the most established Bordeaux chateaux.